Let me be honest. I have a love-hate relationship with mangoes. When they're good, I love them. Totally love. But it seems like I also sometimes end up with mangoes that are mealy or that just taste ... weird. I have a better track record with peaches, plums, and all their relatives. Also, mangoes are not the most fun thing to peel. So I dragged out my mango splitter . I don't use it often, but it has its place in my drawer full of things that I don't use often, but I use enough. That said, the little yellowish mangoes tend to be more successful for me, and when I saw them on sale, I grabbed a few of them. And then as I was browsing through a cookbook that just appeared from a publisher - Farm-to-Table Desserts by Lei Shishak - I found a recipe for mango mousse that looked pretty intriguing. Most of the mousses I've made have been chocolate, and they've been rich and calorie-dense. This mousse is much lighter. I figured I'd make it as written, and if it worked, I could certainly adapt it to other fruits. Like peaches. A peach mousse, in season, would be pretty awesome. 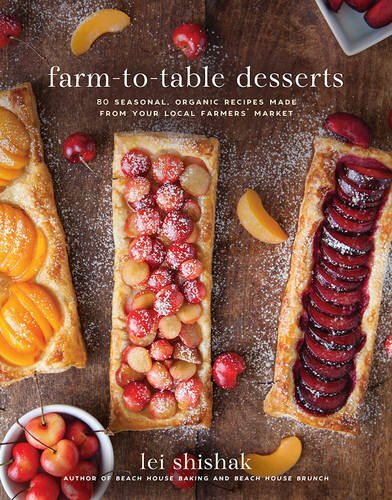 So anyway, the book's tagline is "80 seasonal organic recipes made from your local farmers' market." Well, mangoes don't grow here and it's only May as I write this. We had snow not that long ago, so there aren't a lot of local crops at all. But that's why we have grocery stores. That carry in-season fruits and vegetables that are in season in other parts of the country. Otherwise, I'd be fruitless at this time of year, and still living on root vegetables and petrified winter squashes from last season. So anyway, the mousse was really nice. Fruity and soft and silky and and just sweet enough without being overly sweet. I think it would make sense to make this in a larger quantity, for best blending in the blender and also to have more mousse for dessert. I think my mangoes were a little smaller than what the author imagined, so what I ended up was probably not four servings. I didn't put it into individual ramekins, as suggested, because I thought one container in the fridge made more sense. This is one of the easier recipes in the book, which has a nice range of recipes from simple all the way to ones that are a little more of a project. 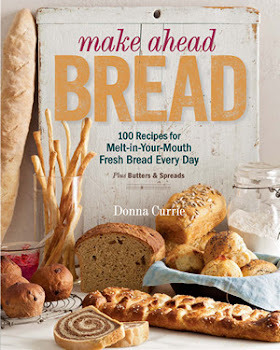 There are baking recipes, ice cream recipes, and some that are uncooked. And kettle corn, too. Lots of variety. Sprinkle the gelatin over 1 tablespoon of water and set aside while you wrangle the mangoes. Peel the mangoes, cut the fruit away from the pit, and cut the fruit into chunks. Or use a mango pitter, then use a spoon to slide the fruit out of the skin. Put the mango pieces and the lemon juice in a blender, and blend until smooth. Add the softened gelatin to a small pot and add the sugar and the remaining tablespoon of water. Heat on medium, stirring, until the sugar and gelatin have dissolved. At first, this will look like you don't have enough water, but it will be fine. Pour the gelatin into the blender and pulse to combine. Strain the mango mixture into a small bowl. If you have a super-powered blender, you might not need to do this, but I found that it was even smoother after straining. So, your choice. Whisk in the yogurt. Chill the mouse for at least 2 hours. You can divide it into individual servings before chilling, or put it into a storage container and scoop it out to serve.